precision.It comes complete with a water resistant case. It has a Limited Lifetime warranty. • 80" height but it collapses to 26"
GUARANTEED: 1 Year Limited Warranty - Brand New! 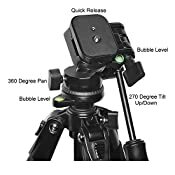 EASY SET UP: Quick Release for Fast Camera removal. 2 Bubble Level-Indicators to help you easily get those perfect shots. 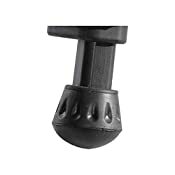 Quick release knob with 3 adjustable leg sections that glide in and out with ease, offers you a height range of 12" to 80"
SUPER LIGHT WEIGHT: Weighing mealy 4lbs. 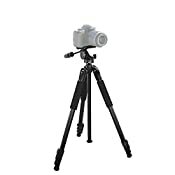 It's ideal for indoor and outdoor photography; you can take it anywhere making it perfect for all events, such as sports activities, camping, family gatherings and much more. 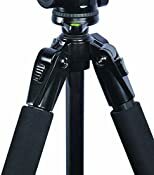 STABLE: Column Hook, located at the bottom of the center-column, allows you to hang additional weight from the tripod's center of gravity for increased stability. 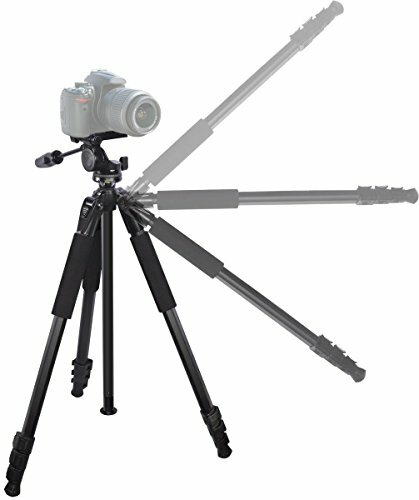 3-way pan head with tilt motion to make the right adjustments.